There are three essential adjustable elements that control the exposure. We will be diving more into them in a bit. 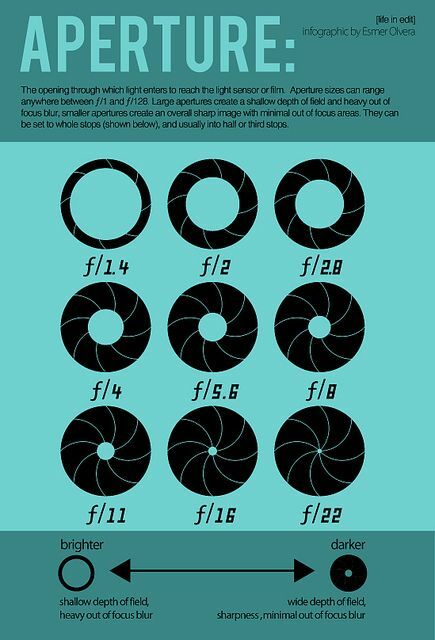 These are the: ISO, Aperture, and Shutter Speed. The ISO, Aperture, and Shutter Speed don’t only affect exposure but also are the biggest influence as to what the overall appearance of one’s image is. The mastery of these settings is highly important to achieve the desired result. The balance of all three is what will lead you to the success of what you want to capture. The Aperture is the hole inside the lens which light passes through. If you compare this to your eye, the aperture would basically be the “pupil” of your lens. When you make the aperture wider, you are allowing more light in and vice versa, just like how your eye operates. The choice you make on your aperture is the choice you make on the focus that you have in your picture. Aside from the aperture size, the shutter speed is another component that your camera has to control over the amount of light. 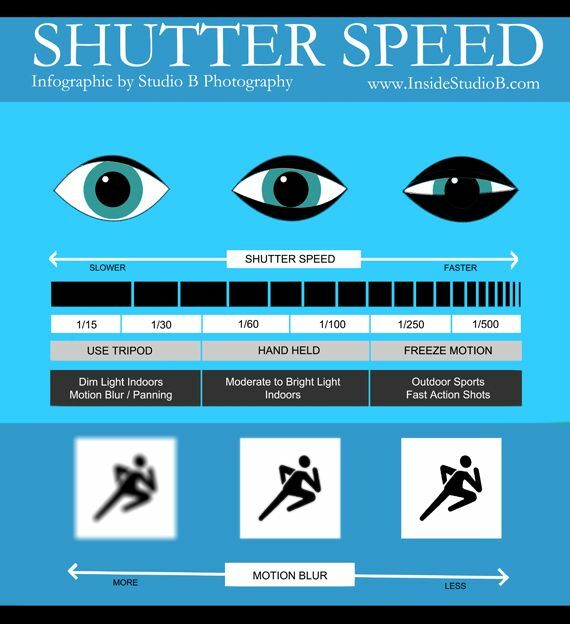 Additionally, the shutter speed also affects the way that moving objects in your shot come out. Faster shutter speeds can freeze motion. With a slow shutter speed, you will have the ability to record slow-moving objects with some blur. The ISO speed describes the sensor’s sensitivity to light. The higher the number the ISO you give, the less light it needs for correct exposure. There will be more noise or grain in your image as the ISO number goes up. Shutter – speed control: moving objects will be shown sharp, blurred, frozen in mid-motion in a range of options from a lot to a little bit. The faster the shutter speed, the shaper the moving object will appear. Aperture control: Changing the aperture is one way to control the sharpness. The smaller the aperture, the more of the picture that will be sharp. I’ll update you guys will more photography awesomeness soon!! !